“One Generation and Out”-Wayne Pacelle, ceo HSUS How does that equate for animal to believe that their interest is in animals?!? In a 7-minute ‘Point of Personal Privilege’ address to fellow members of the Oklahoma House of Representatives, Reps. Scott Biggs (R-Chickasha) and Brian Renegar (D-McAlester) came across the aisle to stand together in defense of their constitutionally-approved authority which has been called into question by Humane Society of the United States. The letters from HSUS are in response to House Bill 2250, first introduced by Renegar, which would ban animal rights organizations from fundraising in the state unless that money is used towards in-state programs. The motivation for this bill comes from events in 2013, in which Biggs and other members allege that HSUS raised money from Oklahomans following the Moore tornado under the pretense that it would be used to help displaced animals. “In his comments on the floor, Biggs responded by saying that HSUS did make reference to the Moore tornado in their solicitations to donors. He cited an email sent after the tornado that talked about the plight of animals after the tornado- and then later asked for money. The author of many of these letters is Drew Edmondson, former Oklahoma Attorney General and House Member-turned HSUS lawyer who is a member of the Oklahoma Stewardship Council, a front group for HSUS that is opposing the state’s Right to Farm Amendment (State Question 777) – which will be voted on in November. We can add these alleged threats to the growing list of missteps by HSUS in the state of Oklahoma. The Washington D.C.-based animal rights group continues to burn bridges and damage its reputation with citizens by going after trusted Oklahoma lawmakers and pursuing legal actions against them. 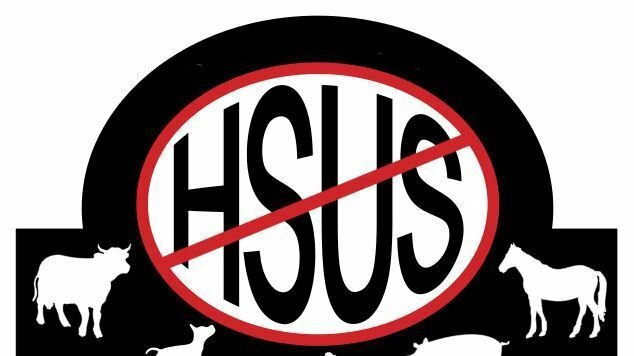 HSUS claims to know what is best for Oklahomans, but can you really trust an organization that only seems to be interested in helping itself? If you do not live in Oklahoma, send a copy of OK HB2250 to your state representative or the RPOA to send to legislators in your state that support Animal Welfare-Kick HSUS/PETA and all other Fanatical Animal Rights Terrorist organizations to the curb. ~ by topcatsroar on February 25, 2016.